For years doctors told me I had to live with the pain. I had bulging discs, sciatica and arthritis. They treated me with pills that did not work. I had my doubts chiropractic could help me. I was very impressed that everyone at Dr. Rio's office is treated as a person, not just a patient. 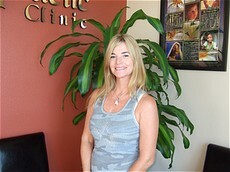 I would recommend anyone to see Dr. Elise Rio. I tell anyone that will listen that I wish my doctor would have told me about chiropractic! Instead they told me I had to live with the pain! I am so glad I found someone to help me get relief from my pain! 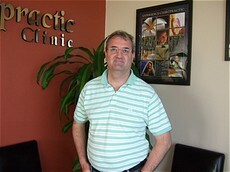 I would recommend chiropractic to anyone in pain and as an overall health maintenance practice! I had severe lower back pain that had been going on for five days! I was taking Motrin for the pain. I got better quickly that now I am back to taking care of my family & riding my horses! I have told four others about chiropractic and I feel it is beneficial! 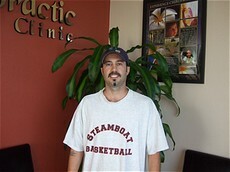 I consulted Dr. Rio because of severe muscle spasms in my neck and back. The pain was extreme! I saw Dr. Rio's flyer and I decided to come in because she said, "We can help you!" I would recommend others to "GET IN THERE!" I have told 1,000 people about chiropractic and I love it! My son Bryant had a problem in the lower back. I had a misaligned spine. I decided to try chiropractic because I understood that body alignment is necessary. 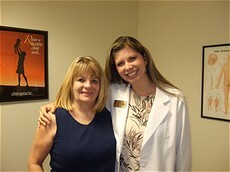 My first impression of the doctor was that she was very experienced and very professional. I now sleep better and we are very healthy. I have told my friends. 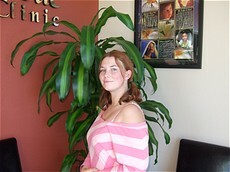 I feel better and can sleep better and all my kids come in for their adjustments! I came to see Dr. Rio because of a sharp, burning pain I had in my neck and back. I also had headaches. I had previously used Icy Hot if the pain was really bad. I decided to try chiropractic to see what it could offer me. I liked how they work with my schedule and the friendly environment. Now, I can move freely and I don't have much pain! I recommend others who are hurting to go check out Dr. Rio's office so they don't have a bad experience. i feel fine about chiropractic and it's benefits! 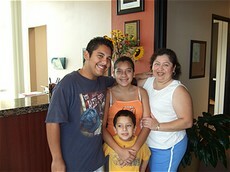 I came to Dr. Rio because I was having severe pain in my upper and lower back due to my scoliosis. I had headaches, carpal tunnel syndrome as well. I played softball for eight years and I had to quit because of the pain. I decided to try chiropractic because I didn't know where else to turn. I did not really know how chiropractic worked. But, by the 3rd adjustment I was feeling 100% better!!! I was able to do things I couldn't do before. My carpal tunnel syndrome doesn't bother me as much anymore! Everything was going great until I got into a car accident and I had whiplash. The pain was really bad! Dr. Rio took care of me and I was feeling better in no time! 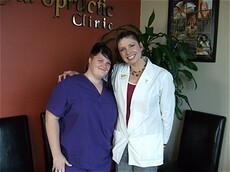 I came to see Dr. Elise because of lower back pain and soreness from daily stress, work and a car accident. My son was in the accident too and had pain. My husband was sore from work and we all slept uncomfortably. I was taking Tylenol, Advil but they were hard on my liver. 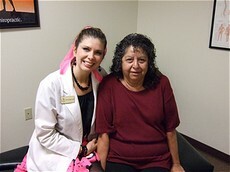 I was referred by a friend to see Dr. Elise. I was so glad I did! My husband doubted that chiropractic could help. Dr. Elise was so lovely & incredibly knowledgable and informative. I have had incredible results with more energy! My son and husband are patients too and they are much better! I was in severe pain for 10 days! I had already visited the hospital where they prescribed me muscle relaxants and pain killers. The prescription masked the pain but I was not aware of my surroundings---it was not helping! Any pressure caused my legs and back to collapse. Within a short time the severe muscle spasms stopped and then a reduction of pain over time. I have told five people in the UK, four people in Northern California, and 30 work colleagues in Southern California! I encourage others...go see the chiro!